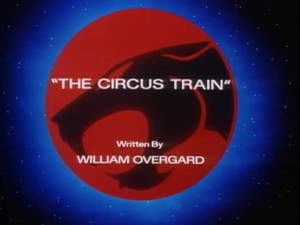 Just as Hollywood has Tim Burton, “ThunderCats” had William Overgard. The master of crafting zany episodes, Overgard’s creations are like a Picasso painting brought to life. Setting norms and conventions aside, his stories take the viewers on a roller-coaster ride of quirkiness. From dog-faced mercenary to peg-legged robotic pirate, Overgard was also responsible for creating a host of colorful characters to embellish his tales. 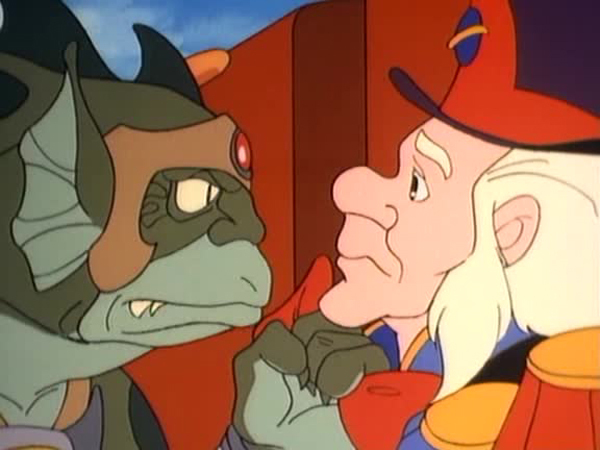 This episode introduces one of Overgard’s most bizarre characters, Captain Bragg. 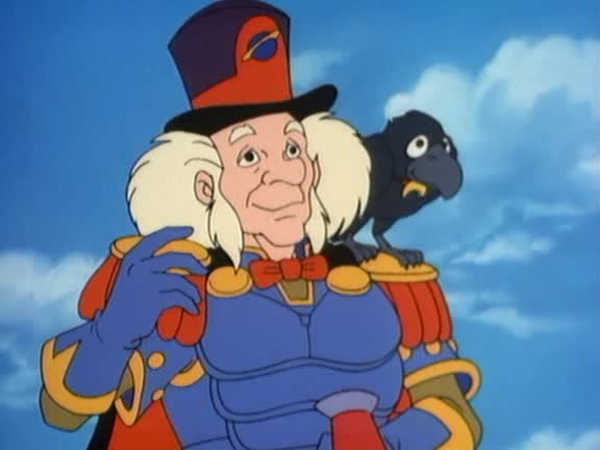 This ringmaster-type bounty hunter scours the galaxies for wanted criminals in the titular spaceship accompanied by his talking crow, Crownan. Landing in front of the Tower of Omens, Bragg advertises his services to rid the planet of any undesirables for a modest fee, including transporting them to his zoo on the island of Way Outback. He even throws in a free bottle of Invisible Oil to sweeten the deal. 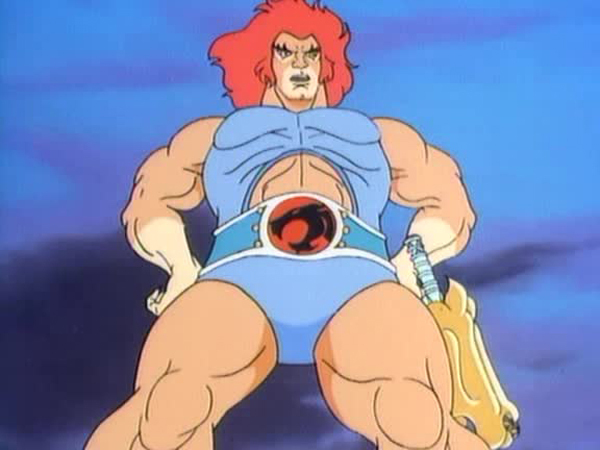 Despite Lion-O warning WilyKat that Bragg is nothing more than a conman, the young ThunderCat’s curiosity gets the better of him and he goes to meet the colorfully dressed captain. 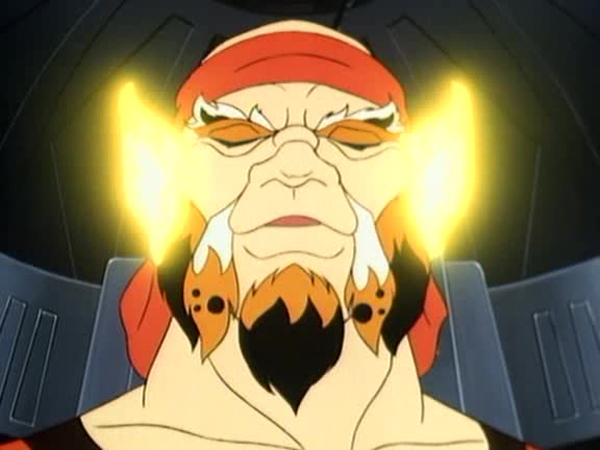 Using his inversely rotating eyeballs, Bragg hypnotizes WilyKat into leading him to the Mutants’ and Lunataks’ hideouts. 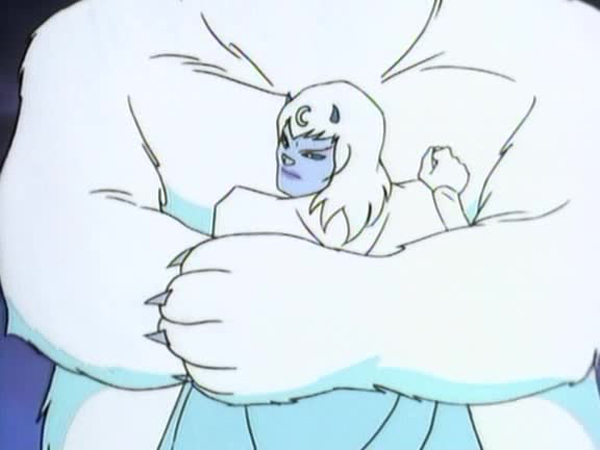 Arriving first at Castle Plun-Darr, Bragg successfully cages Monkian and Jackalman by luring them with the promise of seeing Merna, the galaxy’s most talented female mutant. S-S-Slithe and Vultureman see through Bragg’s trick and throw him and Crownan in the same cage instead. 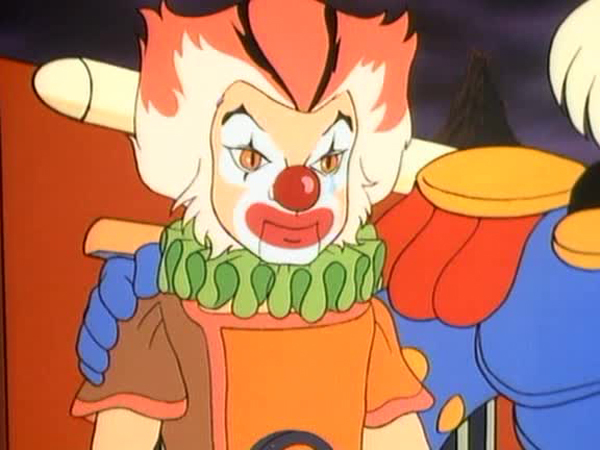 A decent amount of humor is on display as the Mutants get rattled while WilyKat awkwardly tries to pilot the Circus Train. The skit ends with Vultureman and S-S-Slithe emulating Mary Poppins by using an umbrella as a parachute! The Circus Train soon makes its way into the Lunataks’ territory and Bragg again uses his trickery to nab Tug Mug, Red Eye, Chilla, and Alluro. However, before he can dish out the same treatment to Luna, she turns the tables on him and Amok throws Bragg into the cage with the other captives. 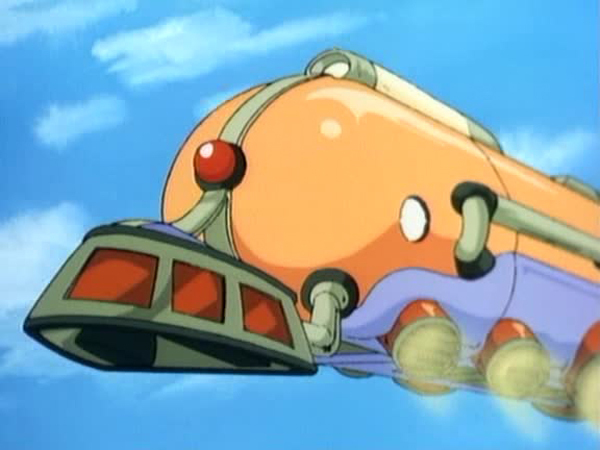 The Lunataks take control of the train and fly off with WilyKat tied to the front of the engine. 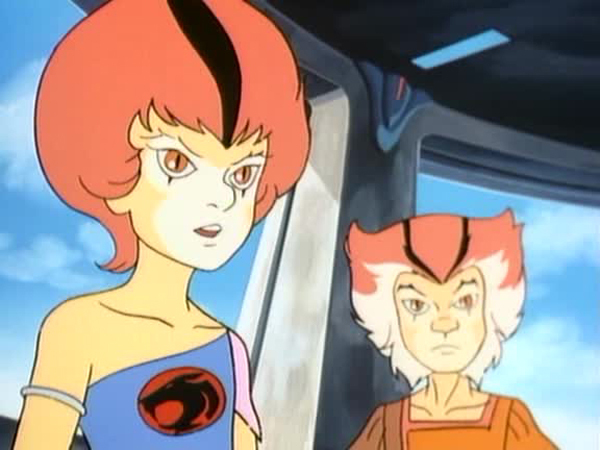 Fortunately, Lion-O and WilyKit arrive in the Thunderclaw and the young lord single-handedly dispatches all the Lunataks before using the Cats Signal to press the runaway train’s “Break And Stop Hover” (BASH) button. Captain Bragg is somewhat of a paradoxical character. His almost comical outfit and mild mannered demeanor make him an unlikely bounty hunter of dangerous villains. He seems like a cross between two of Overgard’s other creations, Mandora and Quick-Pick, carrying out the duties of the former with the attitude of the latter. 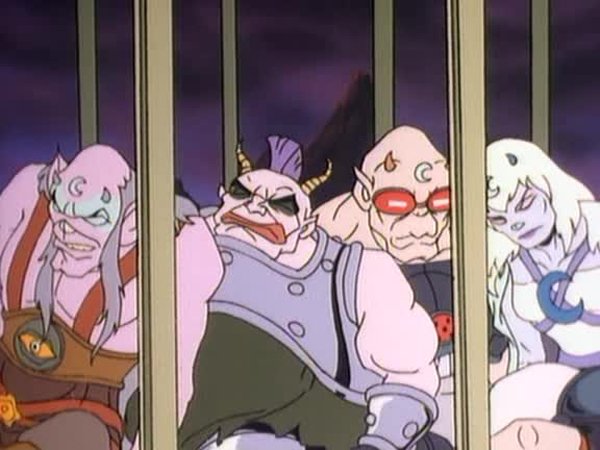 Even though he manages to capture some of the Mutants and Lunataks, Bragg’s incompetence results in him being locked up in his own cage twice. Story-wise, “The Circus Train” is nothing to write home about but Overgard manages to inject a good amount of humor and action into the script. 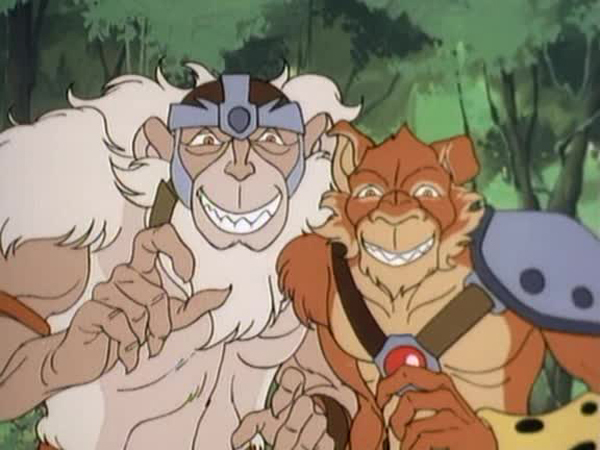 The Mutants take on the role of the hapless comedians while the thrilling final battle between Lion-O and the Lunataks on top of the fast moving train is something right out of a James Bond movie. “The Circus Train” is pretty much a “popcorn episode”, enjoyable to watch but lacking dramatic depth. The Invisible Oil that Bragg sells is an allusion to “Snake Oil”, an expression that originally referred to fraudulent health products or unproven medicine but has come to refer to any product with questionable or unverifiable quality or benefit. This trope shows up again in the 2011 episode “Recipe for Distaster”with Ponzi’s potion. 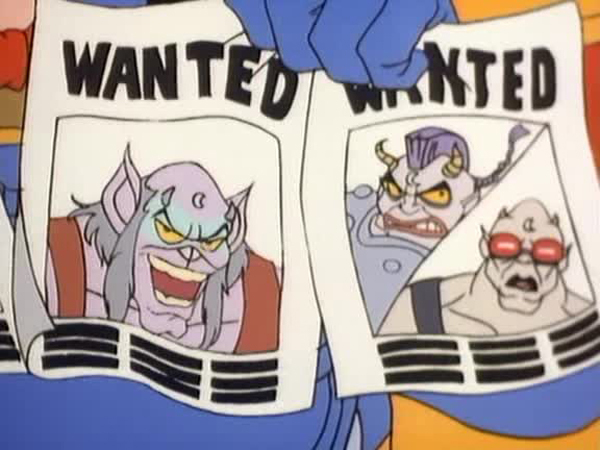 Bragg mentions that the Mutants are worth a thousand smackers a piece but it is never revealed who has put out this bounty on them. The dilapidated shack that the Lunataks escaped in from “Exile Isle” makes an appearance in this episode. Using WilyKat as a ventriloquist’s dummy, Bragg’s funny routine includes the joke: Why does a Mutant cross the road? To get on the Dark Side. 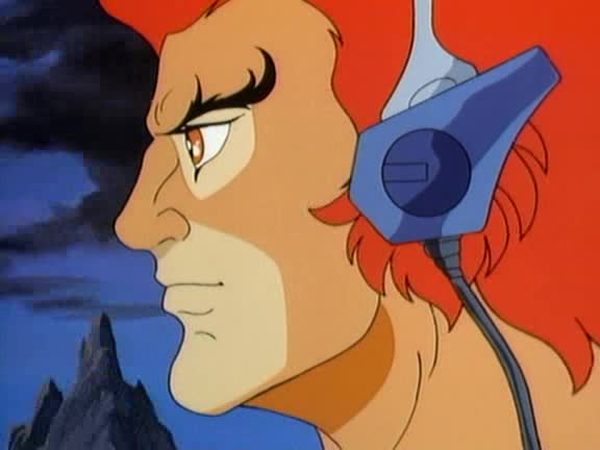 Apart from Lynx-O’s brief appearance near the beginning, Lion-O and the ThunderKittens are the only ThunderCats to feature in this episode.